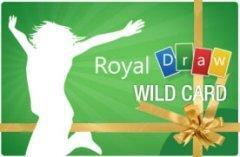 Contest: Win a $100 Gift Card of YOUR choice With Our WILD CARD DRAW! Win a $100 Gift Card of YOUR choice With Our WILD CARD DRAW! Prize: The ultimate gift card prize! Win the $100 gift card of YOUR choice - If we can get it, you can have it! Statistics: This contest was opened by 85 and entered by 9 ContestChest.com members. 11% of those who opened the contest, entered it.